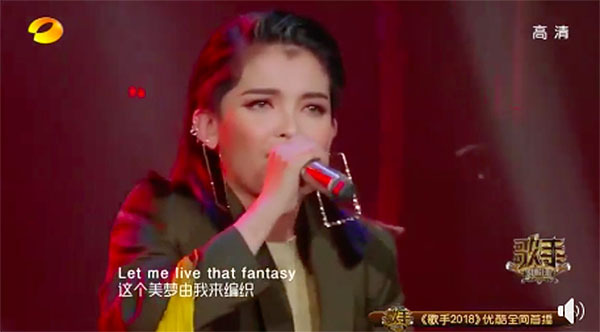 KZ Tandingan sings her rock version of “Royals” by Lorde on Episode 9 of Singer 2018 on Friday, March 16, 2018. KZ enter the show ranking number 1 on her first appearance by singing Adele’s hit “Rolling in the Deep.” She qualify to be a regular contestant after ranking 6th on the episode 7 of the show. Tandingan ranked low last week with her cover of Sheryl Crow’s “Real Gone.” Reports also claimed that the singer was eliminated on the episode 9 of the contest. Singer 2018 is a Chinese television series that airs on Hunan Television.